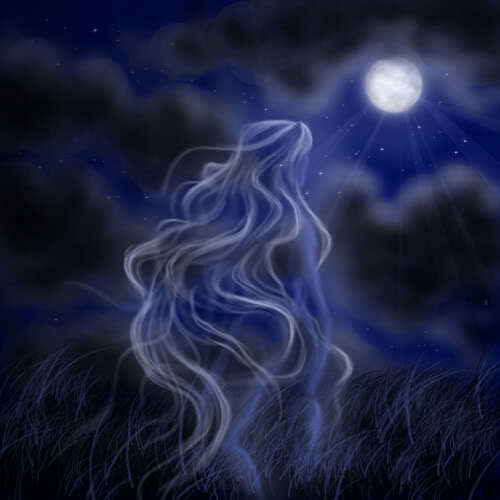 Whether doing a full moon esbat, a dark moon meditation, or a spell casting, one should know and understand the moon's influences in each of its particular phases. Working with the moon's energies instead of against them only helps to ensure the best results for your efforts. However, emergencies often arise that can't be postponed until the proper moon cycle. The question then becomes how to work with the current moon's energy to bring about that which we need to have happen. The essence of the answer to this question lies in the basics of magick. Essentially, all magick can be broken down into two types, drawing and banishing. During the waxing moon cycle, our work should be concentrated on drawing what we want towards us. During the waning moon, our work should be pivoted primarily towards banishing that which we want out of our lives. Therefore, if a sudden illness strikes during the time of the waxing moon, work to draw health rather than banish illness. If an emergency situation calls for a heavy prosperity spell during the time of the waning moon, work towards banishing poverty and need. As you can see in these situations, the immediate need is accomplished by working with its opposite. In this way, you utilize the energies from the current moon cycle (either drawing or banishing) to ultimately realize your goal. There are, of course, other lunar energies beyond simple waning and waxing moons. These include each of the phases of the moon within the cycle, as well as special moons, such as the Blue Moon or the Harvest Moon. It's also a good idea to craft your working towards the correct astrological placement of the moon. None of this is absolutely necessary. By sheer will and personal energy alone, especially if you live in constant awareness of the sacred in everything, you can set events in motion. I liken it to going through a locked door, though. You can ram the door enough times with your body that eventually it will open. However, opening the door is much simpler (and less harmful to the body) if you have a key. The lunar energies we work with are simply keys that we can use to craft our workings for the best assurance of success. When you're planning your magical workings, take the time to look at a moon phase calendar and plan accordingly. Whether you're working under a waxing, waning or full moon, take advantage of the magical lunar energy that is available to you.